Submissions for the published and unpublished categories are now closed for 2019. Entries for the Author of Tomorrow will be accepted until 31st May 2019, when the submissions portal will close at midnight (BST). Sign up to our mailing list to be kept up to date with all news relating to the Adventure Writing Prize. The award for Best Published Novel 2018 went to Abir Mukherjee for A Necessary Evil. The Prize was awarded at a special ceremony at London's Stationers' Hall in September 2018. 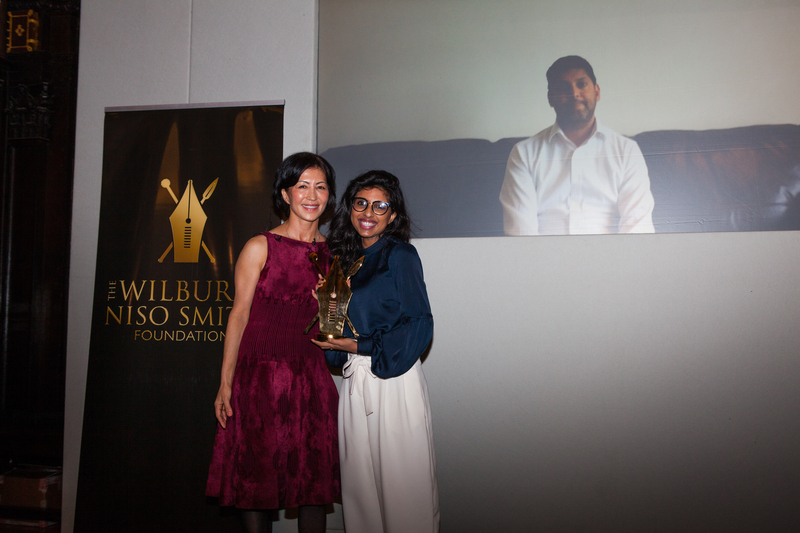 Niso Smith awarding the trophy and £15,000 for Best Published Novel to Abir Mukherjee. The trophy was accepted by Noor Sufi on behalf of Abir Mukherjee. You can find details on more of the past winners here.